When it comes to your client experience, educating potential clients on your services and process is crucial. 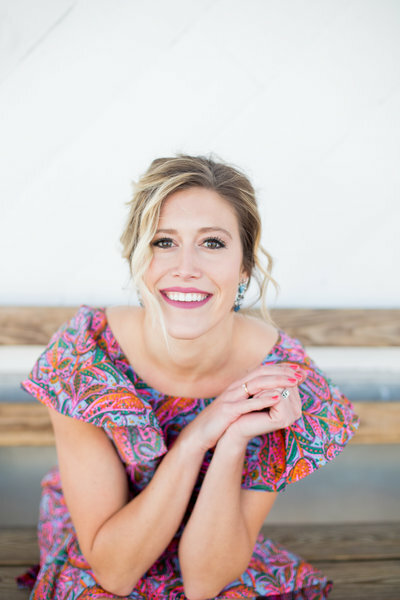 One of the first and most essential conversations I like to have with my clients is properly explaining the difference between a full service wedding planner and partial planner, day and month of coordinator, and a venue coordinator. Every role has a very unique purpose and place in the wedding planning experience, and for many first-time brides, these roles can get confusing when deciding which service is best for you. I feel it’s important to provide education to my clients as well as fellow planners who might be struggling to understand what services to provide clients, on the main differences between full service and partial wedding planners, day and month-of coordinators and venue coordinators in hopes it will guide you to make informed decisions on the services that are best for your wedding experience and unique planning needs. Before I dive in, I want to preface with this: while these are in-depth explanations of each planning role, they are not the only explanation of each planning role. Every planner offers different packages, runs their business operations in a way that best fits their organization and clients, and might have slightly different roles for each of the planning services I’m about to discuss. Building trust, a personal relationship, and having strong communication patterns is crucial for a successful client/planner relationship. I challenge you to really understand each planning team’s mission, their specific services, and make sure you’re a great fit for one another before signing a contract. A full service planner will be there from the very beginning, typically right after engagement and will remain contracted until the last thank you notes are sent out after the wedding day. Full service planners will learn and understand your wedding vision and budget and find the very best vendors and resources to bring your wedding dreams to life. They’re your primary point of contact, will handle all vendor research and contract negotiation, communication with those vendors, budget management, be your support at vendor meetings, be a visionary and creative that will provide you with unique ideas with regards to wedding day design, and countless other tasks that will ultimately lead to a successful execution of your wedding. Full service wedding planners send numerous emails on your behalf and do about 99% of the legwork with regards to design, vendor selection and communication, and day of execution (the client ultimately makes the final decisions/signs contracts, but is advised and guided by the planner). We will handle all negotiations, be a tie-breaker for any controversy or unsolved decisions, and truly focus on what’s best for YOU and YOUR GUESTS. Another amazing benefit of a full service planner (that shouldn’t go without mention) is you are investing in their EXPERTISE as a planner and all of the knowledge they’ve accumulated over countless events to make sure you’re wedding day runs smoothly. Hiring a full service planner is an investment. With over 500 hours worked per full service wedding, some amazing relationships built, and client testimonials shared, I can assure you it’s one of the best investments you can make if you’re hoping for a successful wedding day that leaves no detail unplanned. Full service planners typically provide a few different options with regards to their packages. It’s important for you to understand the exact guidance you’re seeking and compare that to not only the services that each company offers, but your overall interaction with the lead planner during your consultation. Some full service planning companies offer full service “planning”, whereas others offer full service “planning and design”. The benefit of a “planning & design” package is you will receive a complete creative and visual concept board that is unique to your wedding vision and the steps/resources to bring that wedding day design to life. Some planners do not offer this design service and in turn, you would be fully responsible for the vision and finding/creating the resources to bring this to life. At Alyssa Thomas Events, we offer full service planning & design assistance to our clients. Meaning, not only do we plan/organize/execute your wedding day but we also provide all of the creative work and design ideas to bring your wedding day vision to life. I feel very passionate about offering both planning and design in my full service package for one main reason: cohesion and consitency. Since we will be coordinating all of the vendors that best fit your budget, it’s imperative that we also create the visual direction and communicate these designs to vendors so expectations on the final product are clear, and your wedding day will look cohesive and uniform. Ok, so now that you know the full details behind a full-service planner, it will be easier to explain the role of a partial planner. A partial planner is going to be helpful for the client that has a majority of the planning under control (some of the main vendors selected, design and vision clearly defined, etc.) but would like someone to help finalize their plans, complete the finishing touches, and then ultimately execute the plan. This client wants to be very hands-on, is excited to plan their own wedding day, but also understands the value of a planner’s expertise and would like some additional guidance to bring the vision to life. You might find that some planning companies don’t offer a partial-planning package, but do state that they customize packages based on your needs (which is ultimately a partial planning package customized for you) Partial planning packages can also be priced in a few ways. At Alyssa Thomas Events, our partial planning package is a combination of our consulting package combined with our month of coordination service. This gives clients the flexibility to decide which “partial” planning help they desire. After our consult, I will provide the hours this partial service will take and combine that with the flat rate of our month of coordination package. As this is not a primary service we offer, rather a combination of two services, please contact me for more information. Typically, a day-of coordinator will gather all of their client’s vendor information weeks before the wedding, contact said vendors to make sure all plans are finalized, organize their clients wedding day timeline, run the rehearsal, and coordinate/execute their wedding day. As a couple, your wedding day is one of, if not, the best day of your life. You’ve most likely planned this wedding for an entire year and it’s finally here! Hiring a day-of coordinator will allow you to enjoy the day, relax with your family and best friends, and truly celebrate with all of your guests. You can leave all of the decision making and set-up to your planner and trust they will bring your vision to life as planned. At Alyssa Thomas Events, our month-of coordination package is a flat rate. While we book about a year to a year and a half in advance, we will remain in communication through the planning process if you have any questions for us. However, we typically don’t start our formal work with clients until about two months out from their wedding day. It’s also important to note that we don’t have a set amount of hours that we work on your wedding day. Every client’s timeline is a unique and we will base our day-of hours accordingly. We will be there to greet you while getting ready, and early enough to set up your décor and coordinate all vendors appropriately. We will be the last ones to leave your reception and pack up all personal items to get them home safely. Ok, last but not least is a venue coordinator. This is a slightly controversial topic in the wedding world, but I’m going to share my thoughts on it anyways. To start: every venue operates differently, which means every venue coordinator’s job duties are a bit different. This explanation is to guide and educate you on some of the main differences between the two. Here are a few additional resources on the difference between a day-of and venue coordinator if you would like some more perspectives. The main difference that I see in a day-of versus venue coordinator is that day-of coordinators work for YOU, and venue coordinators work for the VENUE where you choose to celebrate your wedding day. Venue coordinators or managers will make sure your ceremony and reception space are set up for success, handle any hiccups as it pertains to the catering team or their staff, enforce the rules that the venue implies, and making sure all of your guests are having a wonderful experience at their venue. However, you need to understand that when you sign a contract with a venue, the venue coordinator will not be your wedding planner – even if they have wedding planning experience or suggest there is no need for a wedding planner. Will they give you vendor recommendations? Sometimes, but it’s typically a standard list of vendors they prefer to work with and not customized to fit your budget or vision. Will they work with you to create a day-of timeline? Yes, but typically this timeline is for the ceremony and reception only, and it doesn’t include all of the details needed to bring your wedding day vision full circle. (family shots, hair and makeup schedule, etc.) 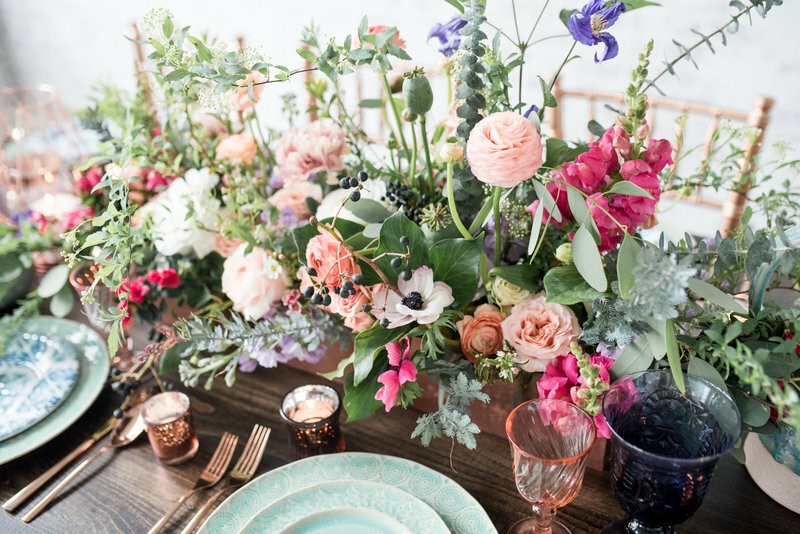 You can’t expect them to jump on phone calls with your florist to confirm centerpiece counts, mitigate risks or make decisions with regards to your budget and where to best allocate your dollars, schedule appropriate time intervals for day of hair and makeup. If you don’t hire a wedding planner, those tasks will be your job to complete. I want to reiterate; venue coordinators are fabulous and an extreme asset to a wedding planner especially when a great relationship is formed and they can successfully work together to bring your vision to life. They are extremely good at their jobs and put in a lot of time to make sure your wedding day runs as smooth as possible. This article is simply to provide you with information on the main differences between the two. So, I would love to hear your thoughts! If you hired a wedding planner or day-of coordinator, I’d love for your to share one reason you were happy with that decision!